Ghostlight Theatre Ensemble is pleased to announce its nominees for the 40th Annual Shellie Awards! 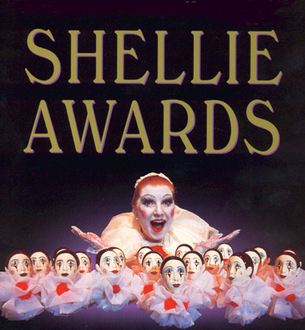 The Shellie Awards will be held at the Dean Lesher Center for the Arts on January 12, 2019. For this season, both Ghostlight Theatre Ensemble and Brentwood Theater Company (BTC) produced eligible shows, Ghostlight Theatre Ensemble essentially arose from BTC following the retirement of Jack and Betty Gaughan. As such, BTC's Calendar Girls is Shellie-eligible in the play categories, and Ghostlight's Man of La Mancha is eligible in the musical categories. Congratulations to the nominees, and to the entire cast and crew for both shows. We've had an amazing season, and look forward to our upcoming shows - Ken Ludwig's Fox on the Fairway in October 2018, and Honk! in July 2019. Ghostlight Theatre Ensemble is comprised of a seasoned team of performers, technicians and educators with extensive theatrical training and experience. Through its network of support developed with local government, businesses, schools and non-profit organizations, Ghostlight engages community members in its mission, encouraging local talent, backstage personnel and others to create live theater that may be enjoyed on both sides of the lights. Ghostlight Theatre Ensemble is excited to bring the gift of live theatre to East Contra Costa County, and to know that our efforts are keepin' the light on for our community. For more information, and to find out how you can support Ghostlight's efforts, visit www.ghostlightte.org.